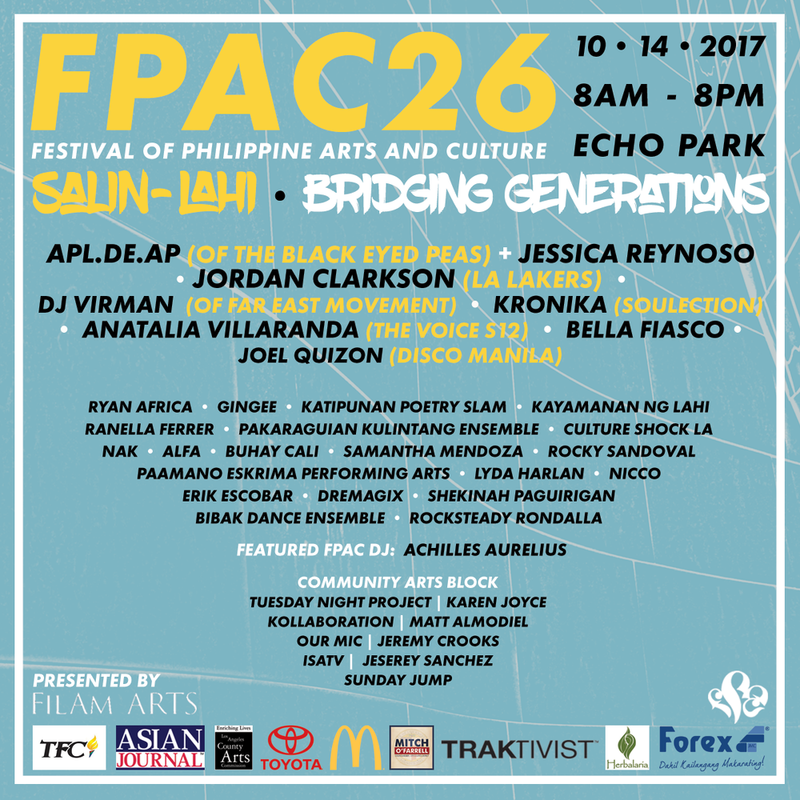 FPAC26 was about Salin-Lahi, or"Bridging Generations," and we dedicated ourselves to demonstrate that through our programming list. 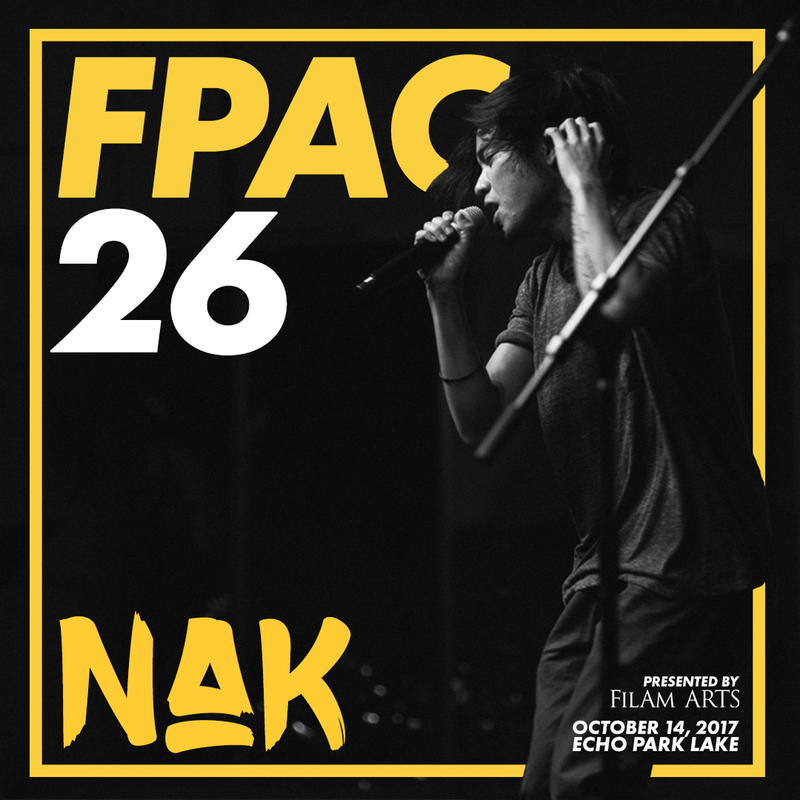 From traditional dance ensembles to hip-hop choreographies, and from OPM to EDM, these were the performers that rocked the stage at FPAC26! Born in the province of Pampanga, Apl.de.Ap is a Filipino American musician, rapper, record producer, entrepreneur, and philanthropist. He is best known as a co-founder/member of the Grammy Award-winning hip hop group The Black Eyed Peas. BEP has sold an estimated 76 million records (35 million albums and 41 million singles), making them one of the world's best-selling groups of all time. Apl has also been a judge on the hit TV show The Voice Philippines and is also the founder of the Apl.de.ap Foundation. The organization focuses on supporting the youth by granting them opportunities through arts, technology, and healthcare in the Philippines. Jessica Joy Seria Reynoso is of African-American-Filipina descent, and lives with her adoptive family in the Philippines. From her earliest memories, the young Jessica was exposed to a world of music that fostered her love for singing with great inspirations from records of Whitney Houston, Barbara Streisand and Aretha Franklin. Jessica found her singing voice at the age of 5, when she broke into “Greatest Love Of All” at home, in front of a stunned family. At the age of 9, she appeared on national television for a competition on Pop Star Kids on QTV in the Philippines. Her first serious engagement with the music world was in 2013 when she auditioned for The Voice Philippines and captivated the hearts of the judges and audience with her powerful rendition of Alicia Keys’ “Fallin”. She eventually came under the mentorship of Apl.de.Ap of The Black Eyed Peas. Her authenticity and love for singing deeply impressed Apl, who signed her to BMBX, his artist development and brand marketing company. She will be releasing her new single "Not Sorry" and music video featuring Jordan Clarkson and Apl.de.ap soon. Angel Mercado, aka Kronika, is a core member and a familiar presence in the Los Angeles music scene. Through her mixes on SoundCloud (or as she playfully calls them “Mixtures”) and her DJ and A&R positions for Los Angeles based record label/movement, Soulection, Kronika has become a trusted source for global audience interested in learning about new artists and overall discovering quality music. She has commanded a wide range of dance floors in major cities in the U.S., such as the legendary Low End Theory, SXSW, and Jazz Reggae Fest. Kronika has also opened for the Swedish band Little Dragon. She is known for her vast musical knowledge, truthfully nurtured from her early years growing up in the Philippines. Exquisite and eccentric in taste, Kronika understands and lives artistry. She commands and engages her listeners in a musical journey that "flows like water." Her transitions are so swift and smooth you forget they are even “transitions.” Her mixes and live sets are unpredictable. Her energy is contagious, which makes the experience of seeing her live all the more powerful and memorable. Kronika is a powerhouse of musical knowledge, constantly sharing her divine energy with the world. DJ Bella Fiasco's musical style is simply formed upon her audience, wherever she may be or whomever she is playing for. From hip-hop concerts, dance festivals, to some of the most exclusive clubs around the country, Fiasco’s expertise in open-format has earned her popular demand. Fiasco is most notable for her ability to adapt to various styles of crowds and deliver to their taste and satisfaction. With her unchallenged skill and technique, Fiasco stands out in a pool of DJs. Proud to break barriers in a male dominated field, DJ Bella Fiasco serves as a strong force and inspiration in the industry. Residing from Temecula, California, Anatalia Villaranda burst onto the music scene as one of the finalists of the farewell season of American Idol, as well as being a finalist on The Voice, Season 12. Joel Quizon is a Los Angeles based/Manila roots filmmaker, arts organizer and music curator. Joel has directed short films such as the music documentary, The Cotabato Sessions: A Film and Music Album, and has co-directed the short documentary, "Union," and the 360 VR film, "Walking With Grace." Joel is a primary collaborator with media studio Form follows Function. 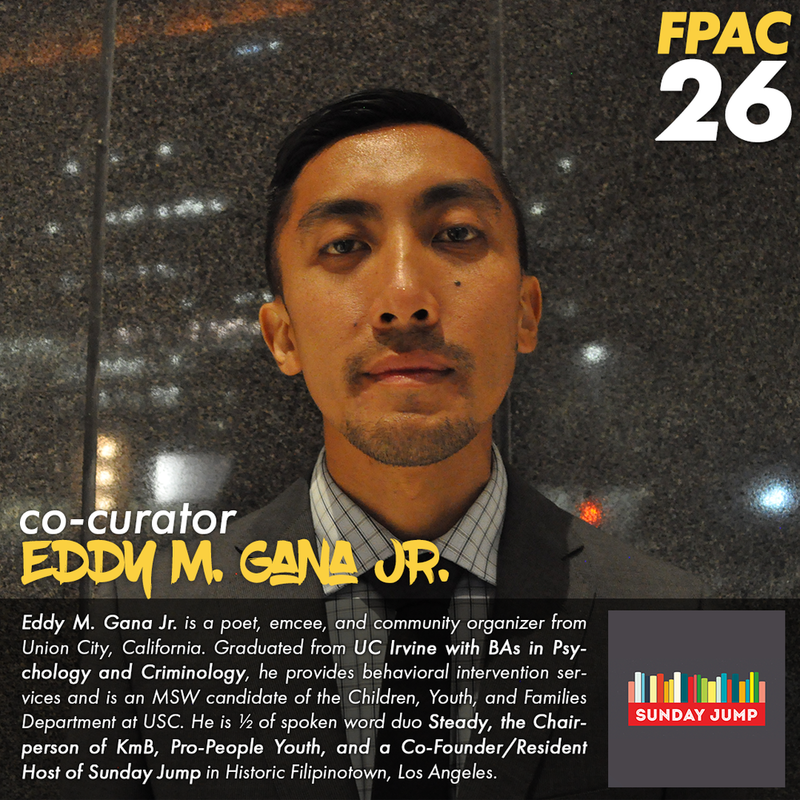 He founded the monthly DJ gathering Diggin' Sunday held at Historic Filipinotown of Los Angeles. 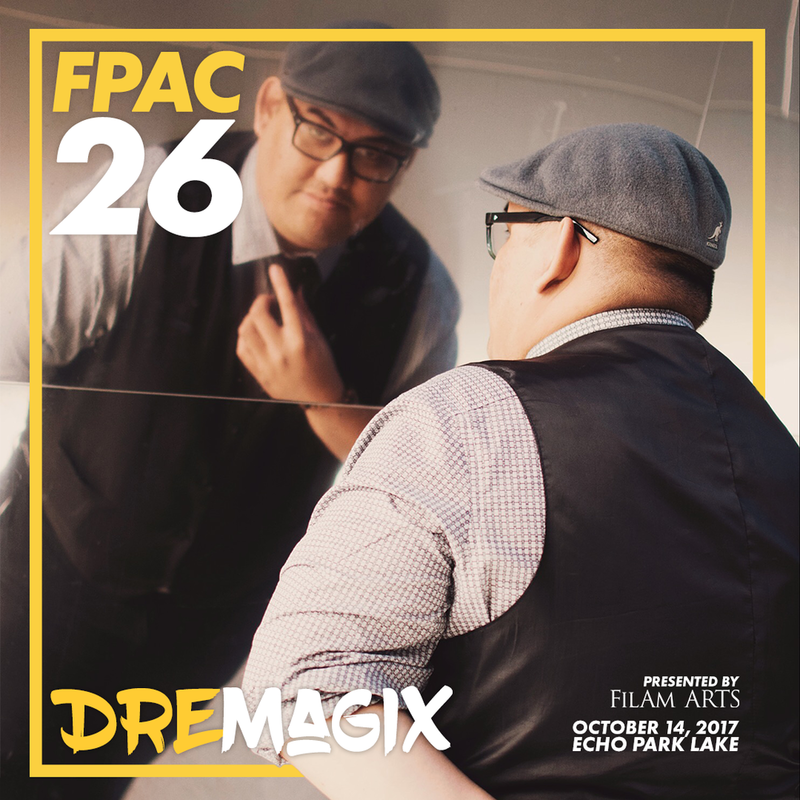 He is the creator of the blog series and mix, “The Pinoy Groove Experience,” which highlights popular Filipino music at home and abroad. He is also the creator of the mix, “Disco Manila,” and “Disco Manila 2,” featuring the Filipino dance music of the late 70's and early 80's. Joel is the creator and co-producer of the live show, “Disco Manila,” a celebration of dance music from the Manila Sound era, at Grand Performances in Los Angeles. He was a contributor for the Disco Manila residency in NYU Abu Dhabi in October 2016. Joel has arranged live experimental score for films and visuals (John Torres' Years When I Was A Child Outside, Khavn de la Cruz's Sqatterpunks and Raket & Rambol for Kularts San Francisco) and is currently curating music for an immersive theater experience in San Francisco set to premier in late 2017. Starting with roots on LA's radio station Power 106, DJ Virman has skyrocketed to international fame. His accolades range from chart-topping tracks to performances at some of the world’s most prestigious festivals, such as Ultra Music Festival, Electric Daisy Carnival (EDC) & MTV Music Evolution Manila in the Philippines. DJ Virman has done high profile collaborations with renowned artists such as Bruno Mars, Justin Bieber, Snoop Dogg, Skrillex, and Diplo. As a respected music industry DJ, Virman has opened the doors for many aspiring artists and continues to boost the presence of Filipino Americans & Asian Americans in the music community. Shekinah Paguirigan is a senior at Cal State University of Long Beach, majoring in Communication Studies w/ an emphasis on Culture and Public Affairs while minoring in Entrepreneurship. Last year, she placed 3rd Runner Up in Binibining Pilipinas USA 2016. She is an aspiring singer, lawyer, model, and actress. Shekinah is also involved a wide variety of organizations. She is a Binibining Pilipinas USA 2016 titleholder, and is holds a spot as a sister of Kappa Psi Epsilon (a Filipino-based women empowerment sorority). Paguirigan is the CSULB Pilipino Cultural Night Marketing Chair 2016-2017, and has been a Filipino Cultural School mentor and volunteer teacher since 2013-2016. 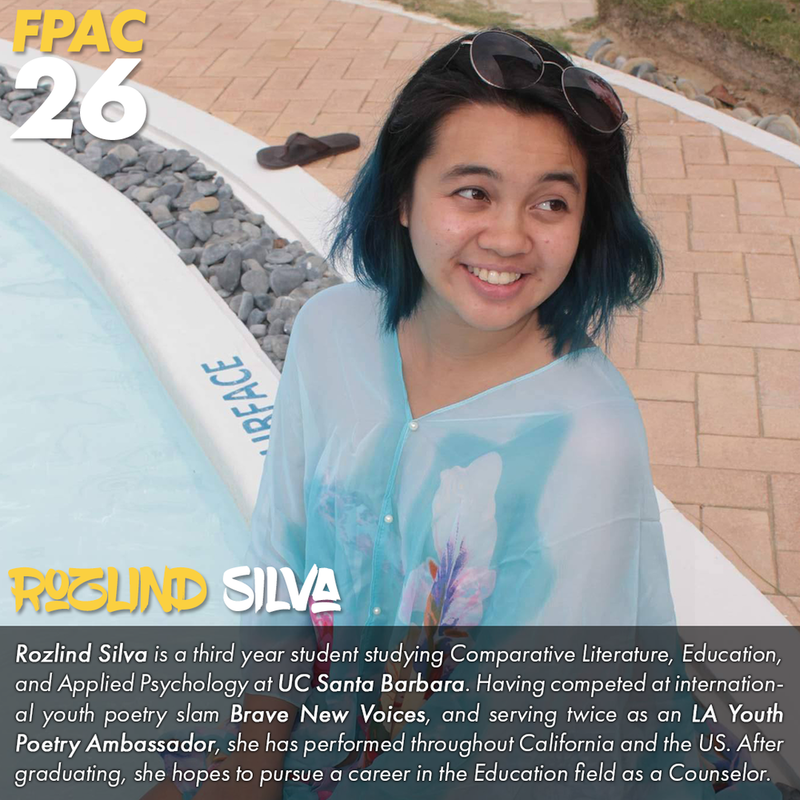 She is a Student Member at Filipino American Chamber of Commerce (FACC-SLAA), and is a member in the Pilipino American Coalition (PAC) at CSULB. 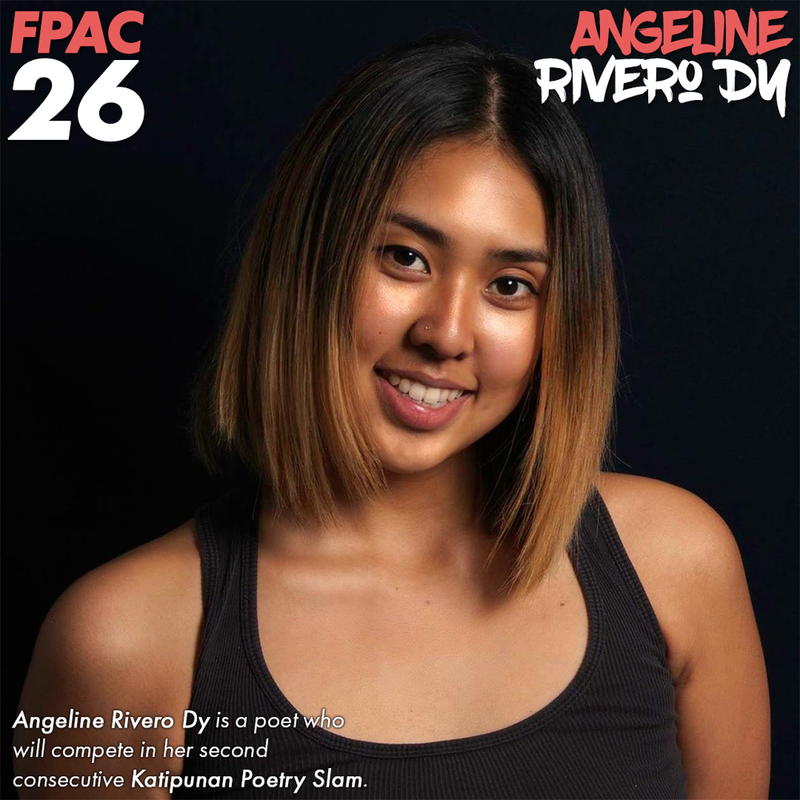 And most recently, she became a Champion of Fil-Ams Got Talent 2017 and scholarship recipient of Filipino American Press Club of California (FAPCC). Miss Ranella Ferrer, whom America recognizes as the “Thrilla from Manila,” has remained a powerhouse in the Filipino-American Entertainment Industry since she was only 13 years old. Ranella’s professional background includes Grammy produced songs, commercial pop singles, multiple appearances in live performances, tour collaborations, and TV and Radio shows, making her one of the most-wanted Fil-Am vocalists in the America. Ranella recently sang the National Anthem for the Los Angeles Lakers in 2016 and has sung for former President of the Philippines Fidel Ramos. She is on a mission to reclaim her spot in the entertainment industry, all while inspiring others to embrace fitness, to be healthier, and to become better versions of them. Presenting the 4th Annual Katipunan Poetry Slam, where poets come to do battle from the balagtasan to the modern day. 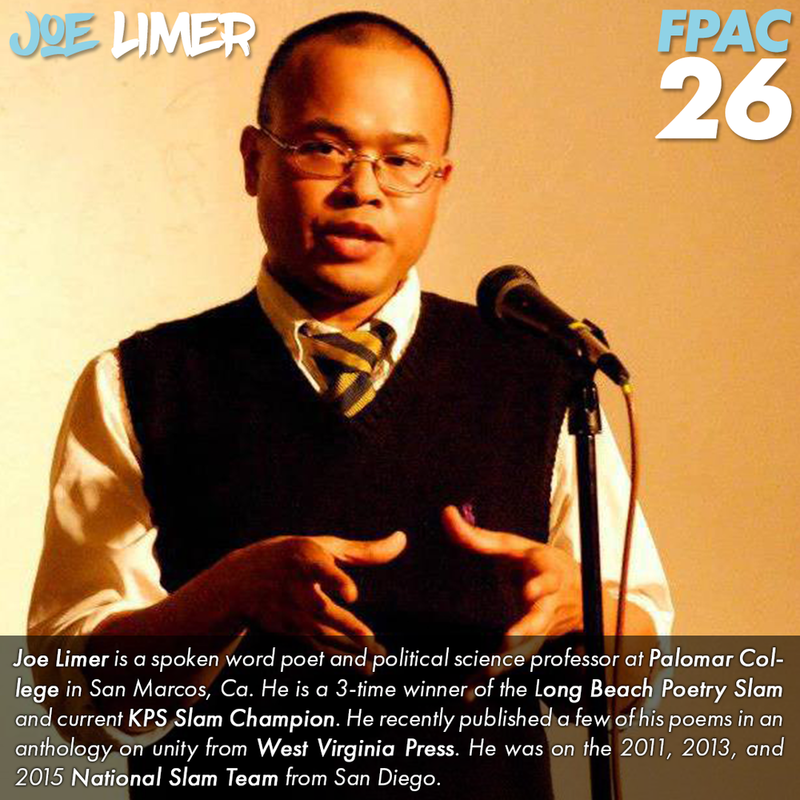 For Filipinos, the modern day poetry slam is an echo of the balagtasan (a poetic, political debate). 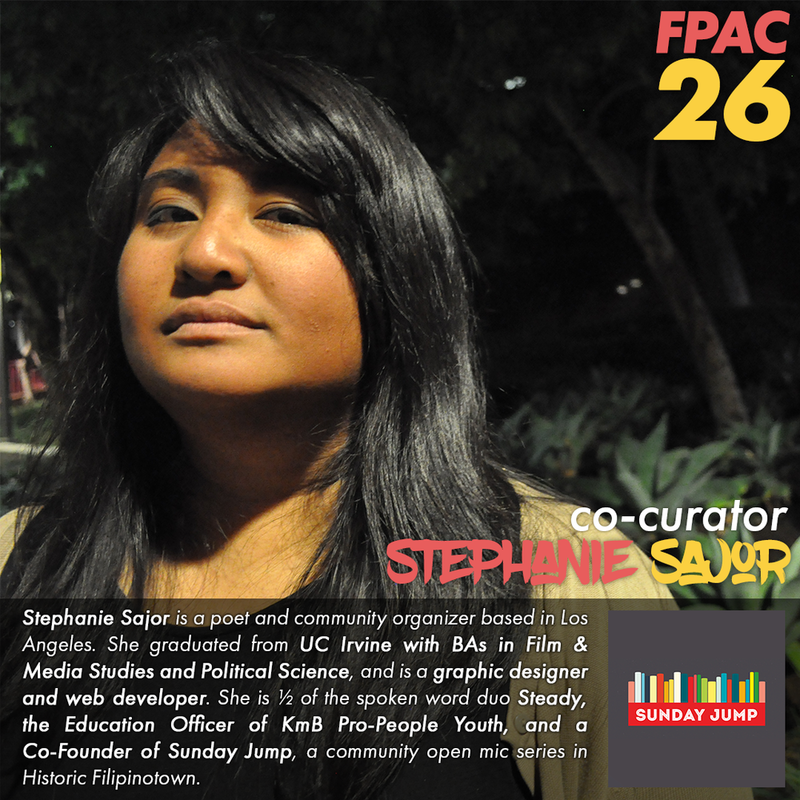 Continuing the work of those who have paved the way before us, from Jose Rizal to Jessica Hagedorn, the slam provides a platform for us to showcase the variety of voices and points of view amongst Filipinos and Filipino-Americans today. FPAC wouldn't be where it is today without the continuous contributions of its volunteers and on-going support of its communities and organizations. 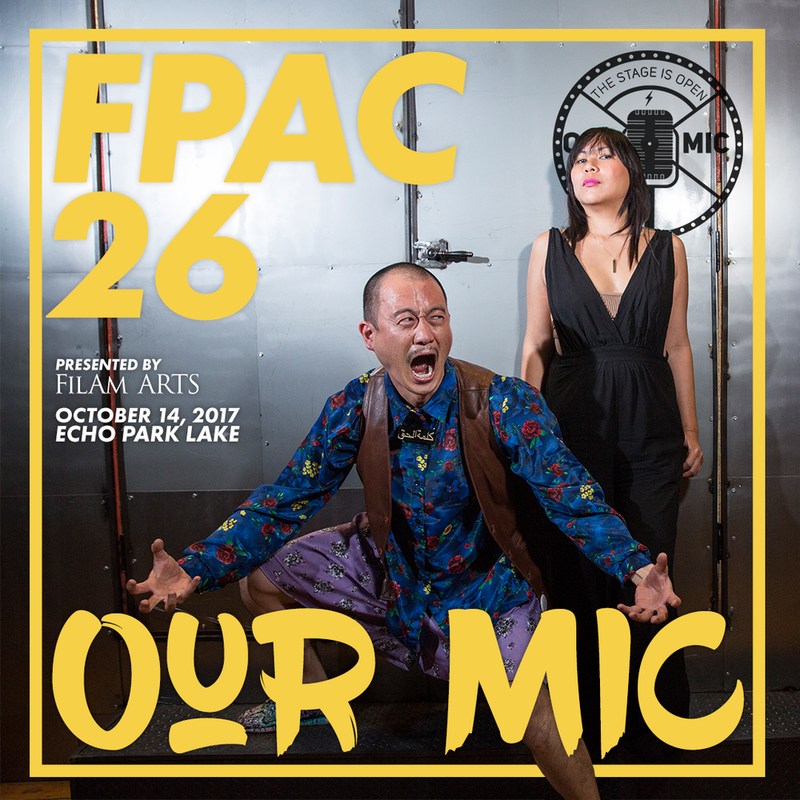 Performing with passion as their purpose, these individuals will represent their organization during the Community Arts Block at #FPAC26. Jeserey Sanchez is an aspiring singer/ actress from the Bay Area. She moved to Los Angeles to pursue and further her music career and studied Musical Theatre at AMDA LA in Hollywood, CA. 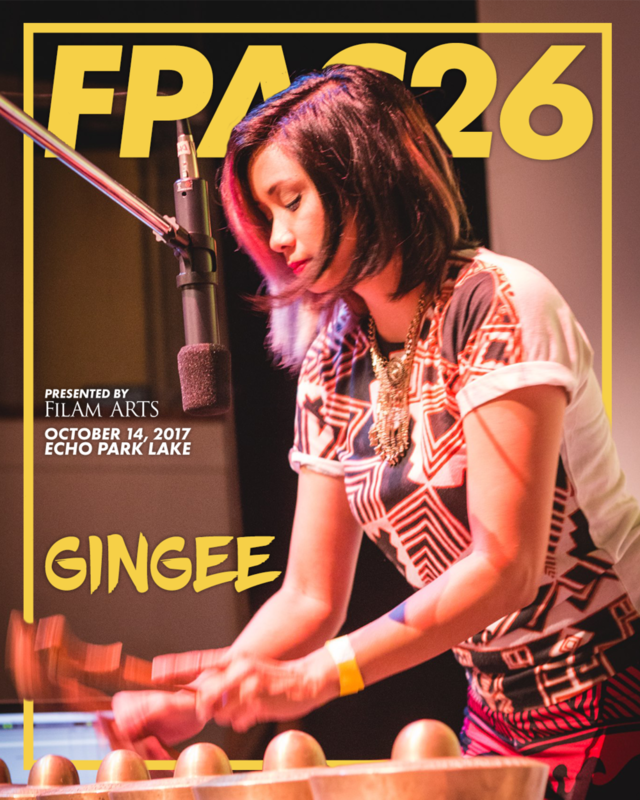 Following college graduation she has been able to network with her Filipino community, which led her to performances at Philippine festivals such as the Adobo Festivals, which were held both in the Bay Area and Los Angeles. Along with music, she has dabbed into modeling and has worked with photographers and up-and-coming clothing lines around the LA area. Jeserey continues to be proactive in creating a well rounded career for herself both in mainstream music as well as musical theatre. She hopes to one day become a household name. Karen Joyce is a vocalist, songwriter, performance artist, and zine writer. When performing her music, she sings conversational lyrics with a heartfelt clarity while her band envelopes them in a relaxed, yet viscerally energetic syncopation. Soft-spoken and evocative in delivery, she draws inspiration from influences such as Joao Gilberto & indie pop bands like Twin Sister, and infuses her songs with a danceable magnetism. Simultaneously fresh and familiar, her music’s inviting melodies and unique soundscapes draw listeners into a very personal and intimate state of mind. In addition to music, Karen creates merchandise promoting a compassionate, empathetic lifestyle and regularly self-publishes on her Asian American mental health zine project @yellowstainedblue. Karen can be found performing frequently throughout Los Angeles. She is currently working on her EP and hopes that her art will inspire others to embrace their vulnerability and humaneness. Matt Almodiel is a 24 year old singer/songwriter who specializes in professional jam sessions (as he would like to call it). With musical influences ranging from Shawn Mendez to Bruno Mars, he captures the audiences with his catchy and relatable acoustic pop tracks. Blessed to have opportunities in his career such as making his music known in the Philippines, winning Kollaboration DC and Top 6 of Kollaboration LA 2016, Matt hopes to inspire those who have no voice that if he can express himself, anyone can do the same if you put a little heart in it. Jeremy Crooks delivers an organic emotion seldom seen in today's mainstream music. Evoking a distinct genre of alternative soul, his natural symphonies of substance are tied in with his crisp and captivating stage presence. 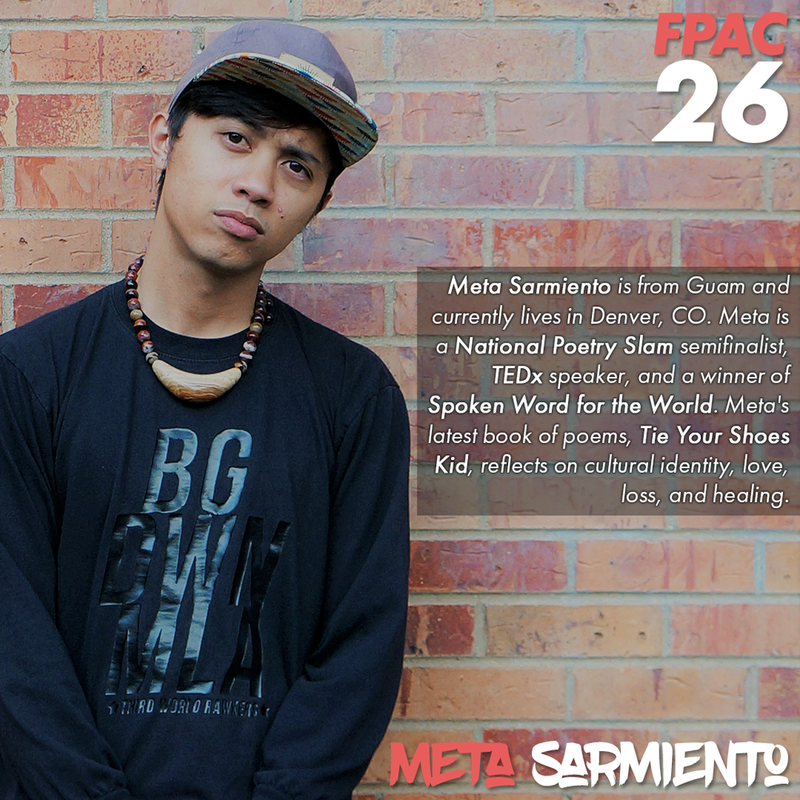 He is a multi-faceted triple threat: a raw vocalist, sharp dancer and focused creator. Drawing inspiration from Prince, Michael Jackson and D'Angelo as well as hip hop acts like The Pharcyde and A Tribe Called Quest, Jeremy is constantly honing in on his own unique sound. His recent album “Don’t Sleep” has had some airplay with Roundhouse Radio in London. He's been featured on the Ellen Degeneres show for his dancing, and has also performed at countless venues across California, from Discovery Kingdom to San Diego State. Music and dance has always been in our DNA. Its traditions have been passed down from culture to culture and generation to generation. 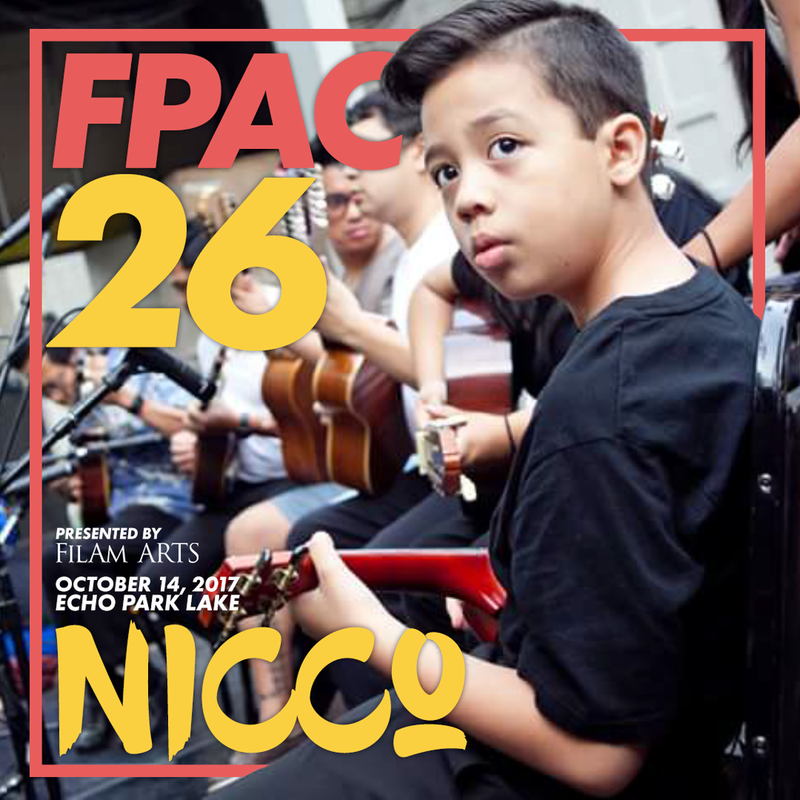 At FPAC26, we're "Bridging Generations" by gathering the traditions of a wide range of Filipinx generations for a day full of diversity and culture that all audiences can enjoy. Culture Shock Los Angeles, established in 1994, is a non-profit Hip Hop dance organization dedicated to Dance Education, Community Outreach, Professional Entertainment, and the preservation of the Hip Hop culture. Members create challenging performance pieces but also utilize their talents to promote the Culture Shock vision of community outreach and awareness of critical social issues that affect the community as a whole to diverse audiences. The school and community programs serve 2,000 children and their families each year. 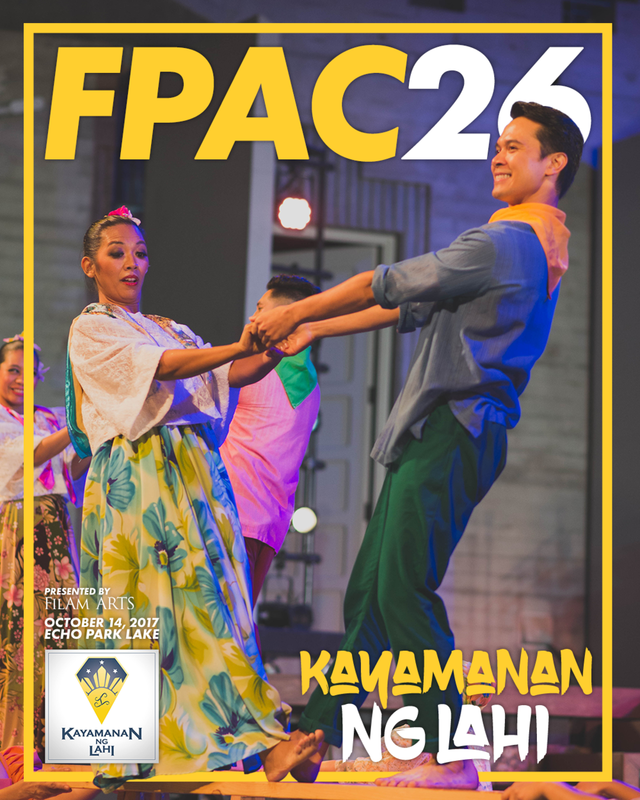 Kayamanan Ng Lahi Philippine Folk Arts is a critically acclaimed non-profit organization based in Los Angeles, California. Under the leadership of Joel Jacinto, Barbara Ele and Ave Jacinto, Kayamanan is committed to presenting, promoting and preserving the richness and diversity of Philippine culture through dance and music. Kayamanan's artistic approach is based on anthropological research, resulting in a strong and appropriate translation between traditional folk and folkloric Philippine dance and music forms and styles - from the village to the stage. Noted for its extensive dance repertoire, costumes and music ensembles. Kayamanan has received numerous accolades including L.A. Times' description of one of the group's concert as " ...consistently exciting and a triumph of enlightened cultural preservation." In addition to performing and holding weekly workshops, Kayamanan also plays a leadership role in providing technical assistance, training and consultation, instruction and planning of innovative and culturally appropriate performances and programs in folk dance to many student and community folk dance groups across the United States. Kayamanan's many other accomplishments include being in the feature film "The Debut", organizing the nationwide Philippine Dance Gathering and Workshop Conferences, sponsoring specialized dance and music workshops, and providing extended study courses in Philippine dance and conducting field research trips to the Philippines. Since its inception in 1990, Kayamanan has maintained a consistent level of cultural, artistic and administrative achievement and has developed and nurtured an extensive network of member participants, audiences, clients and networks within the folk dance scene in Los Angeles and throughout California. Over 500 public and private performances have reached thousands in settings ranging from self-produced dance concerts, citywide festivals, community events, and private functions to school-based activities. Kayamanan has been cited for outstanding leadership by the Los Angeles City Council, Philippine Consulate General and has forged strong collaborative relationships with Philippine-based dance experts such as Ramon A. Obusan, dance consultant for the Cultural Center of the Philippines, Nestor Jardin, Vice-President and Artistic Director of the Cultural Center of the Philippines and Dr. Larry Gabao, President of the Philippine Folk Dance Society along with Dr. Ricardo Trimillos, ethnomusicologist professor and Chair of Asian Studies at the University of Hawaii. In the Southern California performing arts scene, the group is highly active in performing and has been consistently programmed by numerous museums (Getty, Skirball, Fowler UCLA, Armand Hammer, Pacific Asia and Southwest) and mainstream arts presenters, including Fil-Am Arts (Festival of Philippine Arts & Culture), Community Arts Resources (CARS), California Plaza Presents, Dance Kaleidoscope, International Festival of Masks and others. 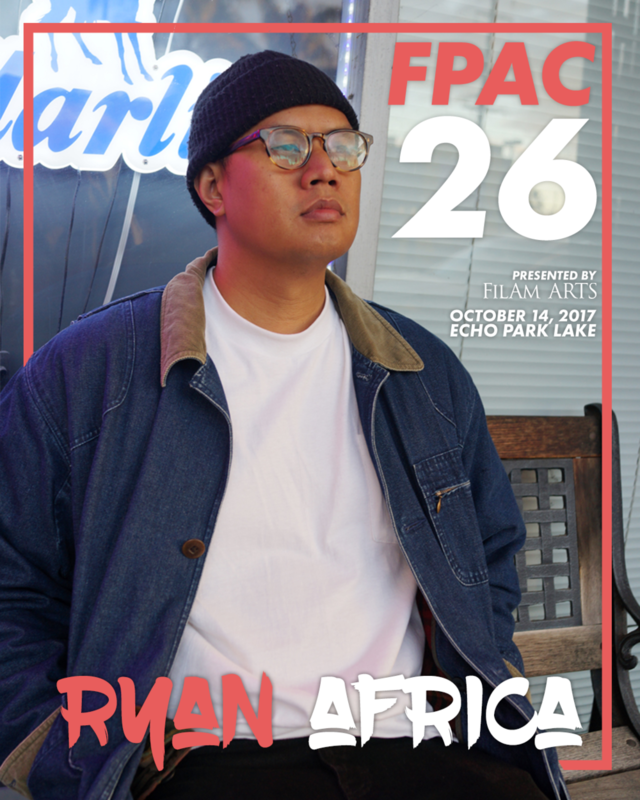 Among its many collaborations, Kayamanan has performed with Danza Floricanto, Pakariguian, Bibak Dance Ensemble, Institute of Native Arts, jazz vocalist, Charmaine Clamor in Agos ~ Flow at the Getty Center Museum, L.A. and most recently, Culture Shock of Los Angeles, a contemporary hip hop dance crew. Kayamanan Ng Lahi is proud to be celebrating its 27th anniversary in 2017. Born in the Philippines, Maria-Karmina came to the U.S. at age three and was taught from early on by her father that everything was possible; but, as an immigrant, she often felt like an outsider. When she found her parents' typewriter and began to write, Maria-Karmina discovered the thing that made her feel like she belonged: telling people's stories and later becoming a journalist. Today, as a the “Official Face” and Host of Myx TV -- a multicultural cable network that caters to Asian-Americans -- Maria-Karmina has her sights set on becoming a household name despite the odds. You can find her preaching about the power of vision, how she slept on her friend's couch for months, determined to break into journalism and overcoming prejudice to follow your dream no matter what limitations others put on you. The power of imagination and vision. Her advice for breaking into journalism. Faking it until you make it. Why your journey may include some twists and turns. Speaking your dream into existence. Understanding the law of attraction. Recognizing how powerful your words are. The importance of having love in your life. That is what she represents. Born Paul Joseph on October 23, he has transformed Hip Hop entertainment—and then some. But his fans almost never knew him. 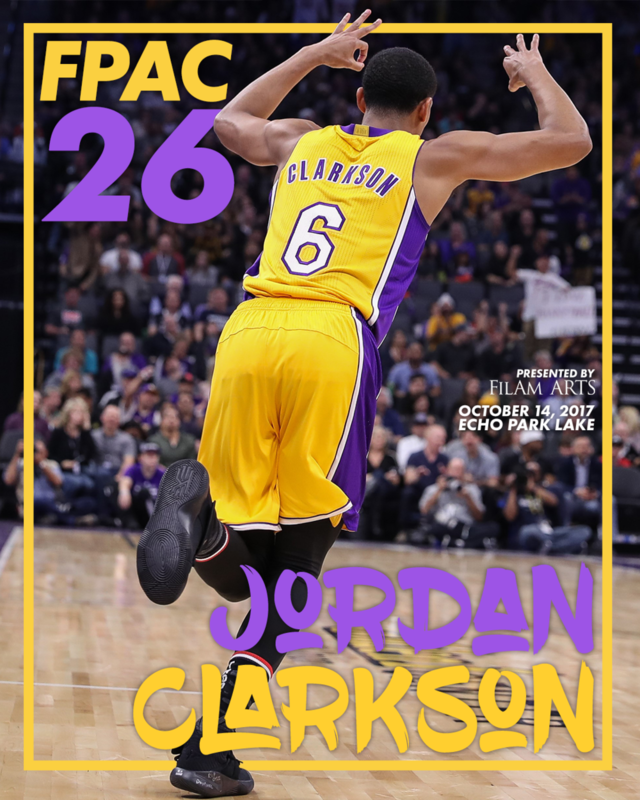 Spending most of his time messing around with turntables in his bedroom as a kid, PJ didn’t intend to launch a career as a DJ. In fact, his goal was to become a History Teacher. 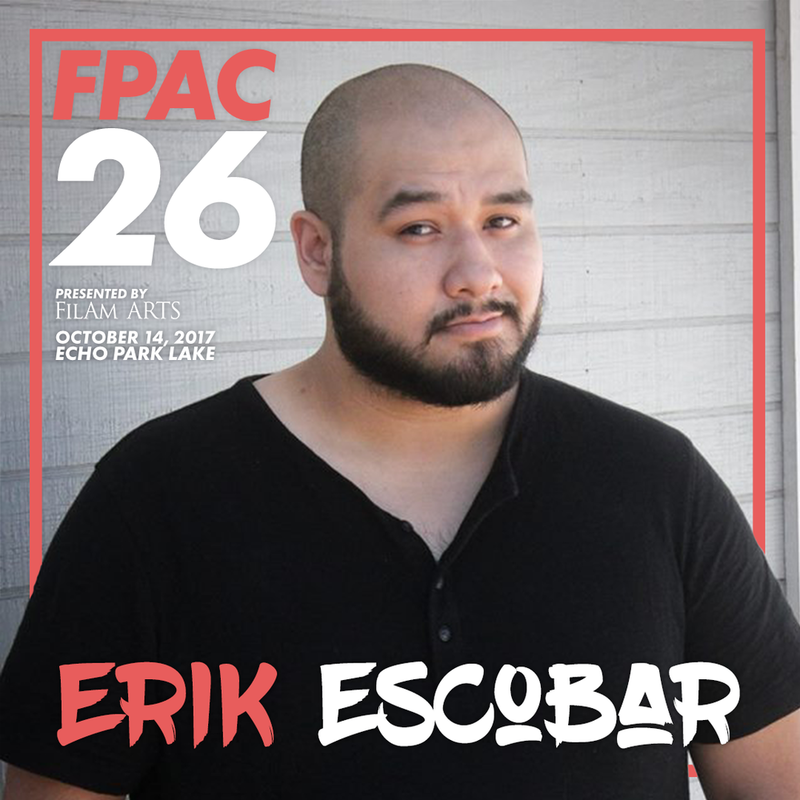 Instead, he made history as he was the first Filipino American DJ in Los Angeles and also the first to break the news about TuPac Shakur’s death in 1996, solidifying his stance as one of the most legendary voices in radio of our generation. With a heavy catalog of ‘Butta Bootlegs’ mixes that defies his age showcasing an enviable ear for music, PJ Butta made a name for himself at 92.3 The Beat and 24 years later, continues to keep music running through his veins, getting you home every weekday afternoon from 3p-7p on 93.5 KDAY. Aside from playing people what they want to hear and spending some time perfecting his side-gig in voice acting, PJ also gives back shaping young minds as a college professor at Mt. San Antonio College where he shares his knowledge and experience with broadcasting students. PJ Butta has had his role on screen, guest starring on sitcoms such as Moesha, Sister Sister, The Parkers, and Showtime’s Soul Food. Achilles Aurelius always had an ear for all types of music due to the eclectic collective of music his family listened too: his father listened to classic crooners like Frank Sinatra and Tom Jones, and his mom loved The Beatles & Disco. His sister was into alternative rock, and his brother was into techno and rap music. This environment led Achilles Aurelius to have an affinity towards a uniqe mix of music. In high school, he saved up enough money to buy a pair of Technics 1200s, a mixer, and some records so he could play house parties and events for friends and family. In college he was introduced to Serato and began his Professional DJ'ing career. Achilles Aurelius began working the club circuit which led him to working with legends in the DJ world such as The Baka Boys, DJ Chuck Fresh, DJ Vice and DJ Fashen from The Scam Artists. He went on to open for artists like LMFAO, U.N.I., and is now the official DJ of the most prolific music collective in all of the Inland Empire: Royal Gambling Club. Recently, with his label mate and best friend, King Dice, he performed at the Fox theater and Glass House in Pomona on the same bill as DMX, Too Short, Suga Free and The Ying Yang Twins. Achilles Aurelius currently hosts "Nativ Wax", a weekly bring-your-vinyl night at Gunwhale Ales in Costa Mesa where he invites the local community to bring records to listen, chill and dance too. 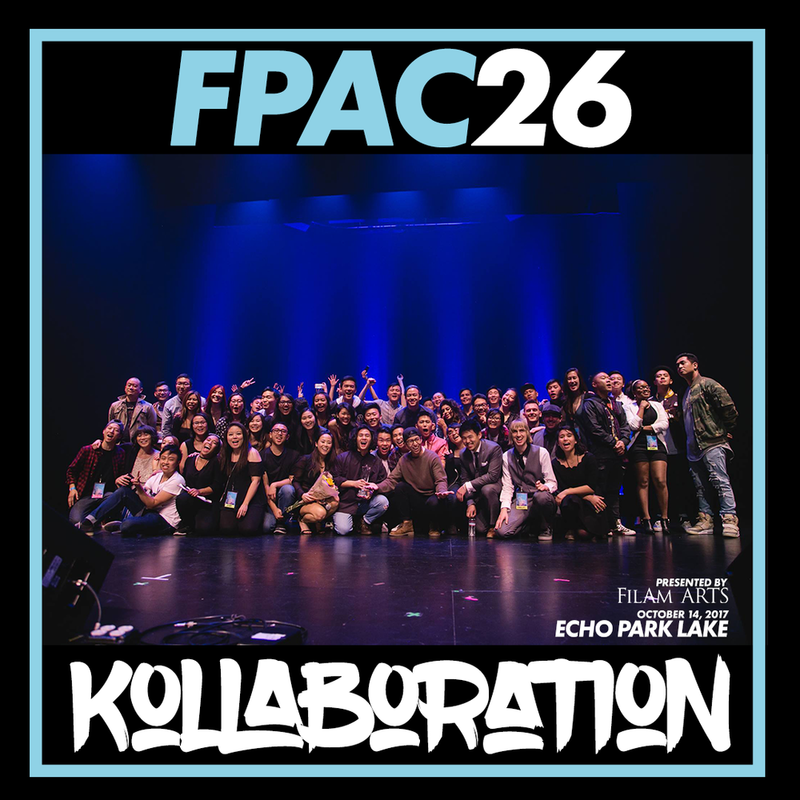 Thank you to all performers for making FPAC26 one to remember!